Inanimate horror has come back big time. With Child’s Play getting a new film and other horror films like Annabelle and Annabelle 2 making money, horror film makers are paying attention to this sub-genre of horror. 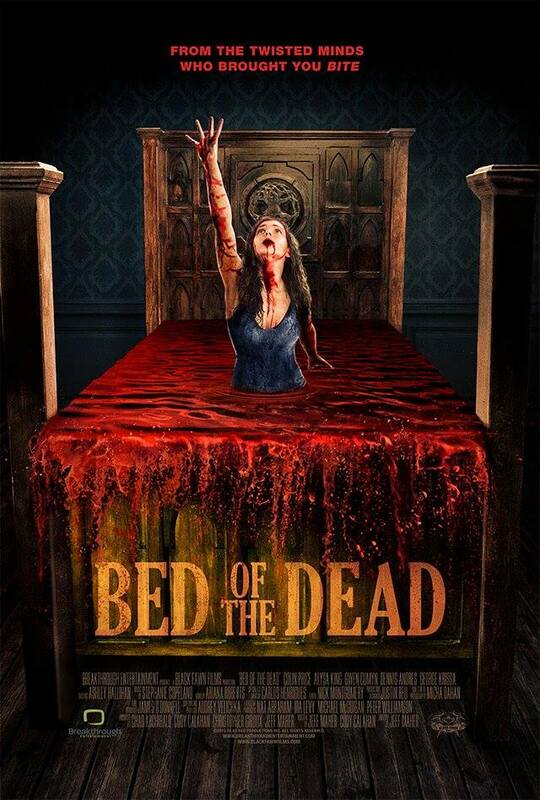 Bed of the Dead has a great concept – four friends buy a bed that isn’t what it seems. The slickly cut trailer gives us a glimpse of what could be one of the more violent horror films that release this year. This Hollywodo horror film stars Colin Prince, Alysa King, Gwendolyn Cumwyn, Dennis Andres and George Krrisa. Jeff Maher directs this script that he co-wrote with Cody Calahan.